At Next Century, the vibe is more supportive: a side-by-side manicure at the second-floor nail art bar? A matcha latte at the second-floor Chalait coffee and tea bar? A flip through a vintage issue of Andy Warhol’s Interview in the lounge? Isaac Gindi, an owner of Century 21 Stores, and the force behind Next Century. Next Century and Century 21 will be connected but disparate. Next Century has its own entrance, at 21 Dey Street, but connects to the main store through a pair of mirrored doors. The prices, as befit Century 21, are far lower than in-season designer goods. Some finds are limited to a single piece, the kind pursued in dreams: an Alaïa top ($529.99, down from $1,765); a Céline blouse ($429.99, down from $1,450); or a Row sweater ($499.99, down from $1,690). Others are carried in a full run of sizes, and some, like the Telfar collection by Telfar Clemens, were made specifically for the store. Mr. Clemens’s creative director, Babak Radboy, even created a logo for the capsule, a swooping “Telfar” over the looping Century 21, a design Mr. Radboy had been fiddling with long before Century 21 even came to call. (“I don’t know if he was playing around with this in a full moon, or what,” Mr. Clemens said.) The two have been Century 21 shoppers for years; Mr. Clemens decided to go to Pace University, he said, in part because of its proximity to the store. 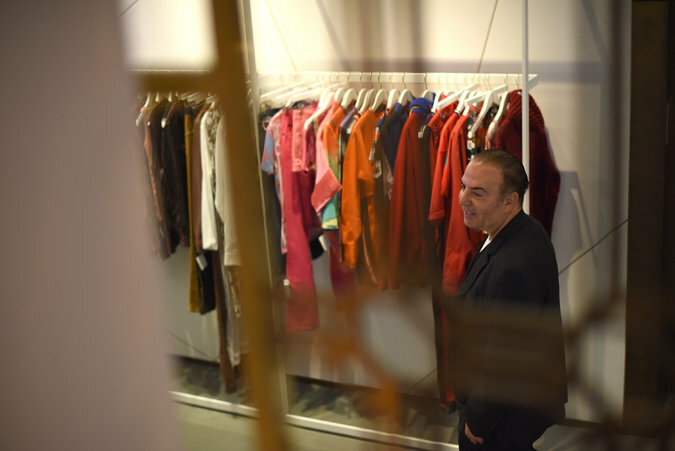 Brian Procell, the New York vintage dealer and owner of Procell Vintage, has his own Century 21 stories, too — “as all New Yorkers do,” he said. Ms. Miller invited him to bring in a collection of vintage designer pieces from the 1990s and early 2000s to sell on the ground floor. Mr. Gindi hopes to open similar spaces in other Century 21 stores; there are now 13, between the New York metro area, Philadelphia and Florida.